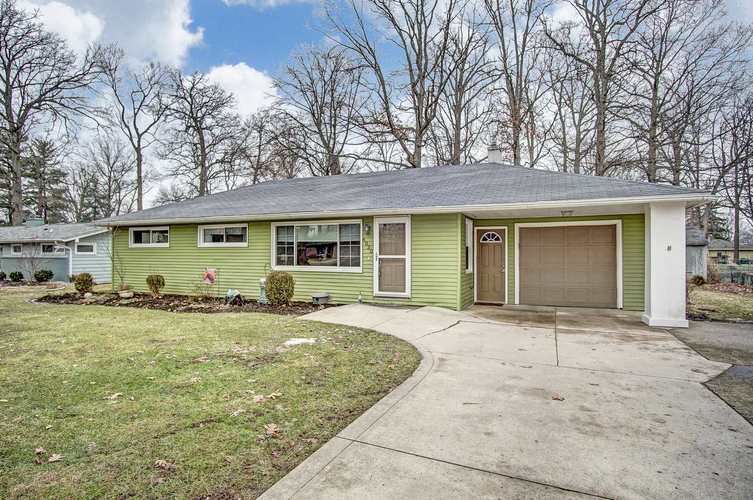 This beautifully maintained and updated 3-bedroom ranch is nestled on a partially wooded, half acre lot in a peaceful and well-established neighborhood that is close to shopping, schools and I-469. As you enter the home you are greeted with an abundance of natural light showing off the love and care given to this home over the years. Newer laminate wood flooring greets you in the great room and flows through to the kitchen nook. The kitchen boasts new countertops and the white tile backsplash brightens up the space. The full bath has been completely remodeled and modernized, turning it into a dream bathroom that will WOW you. This home has too many updates over the years to mention them all but with a roof that is only 12 years old, a newer furnace (2011), and newer windows (2009) this home is move in ready! Come see this beauty today.